Trichocereus Peruvianus (Peruvian Torch Cactus) is closely related to San Pedro Cactus, but much less common. It is similar in appearance, but has longer spines and has a darker color, sometimes being blue. It grows much like san pedro, but, amazingly, it seems to grow faster and be even more hardy. Contains the largest amount of mescaline of all cacti. Gives clear visions and hallucinations during a mystical and earthly trip. 10 seeds (grow from it, dont eat it!). 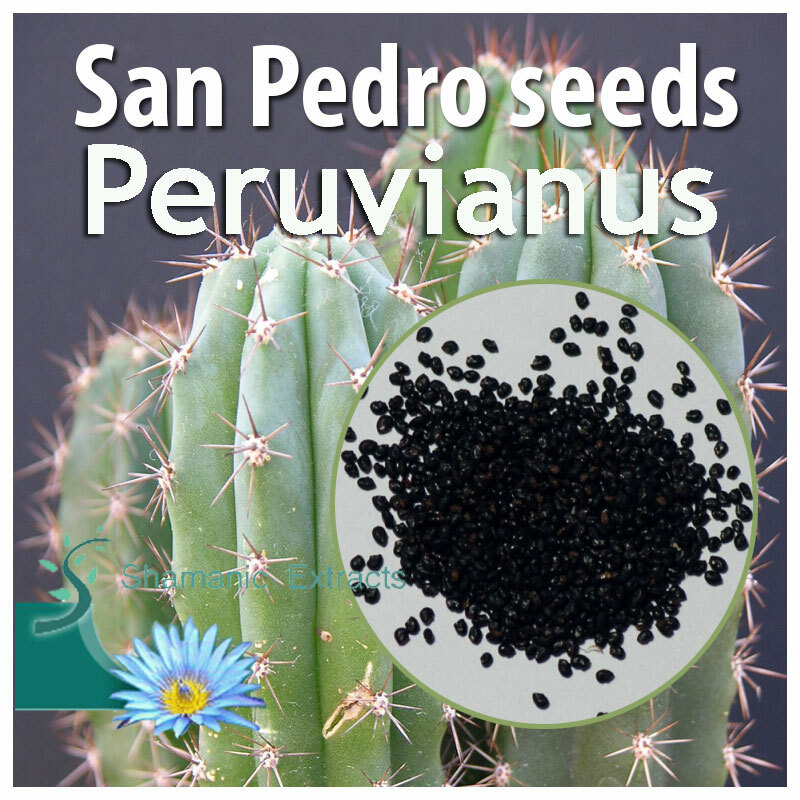 Share your experience about Trichocereus Peruvianus seeds with other customers. Submit your tips or thought on this product, be detailed and specific.